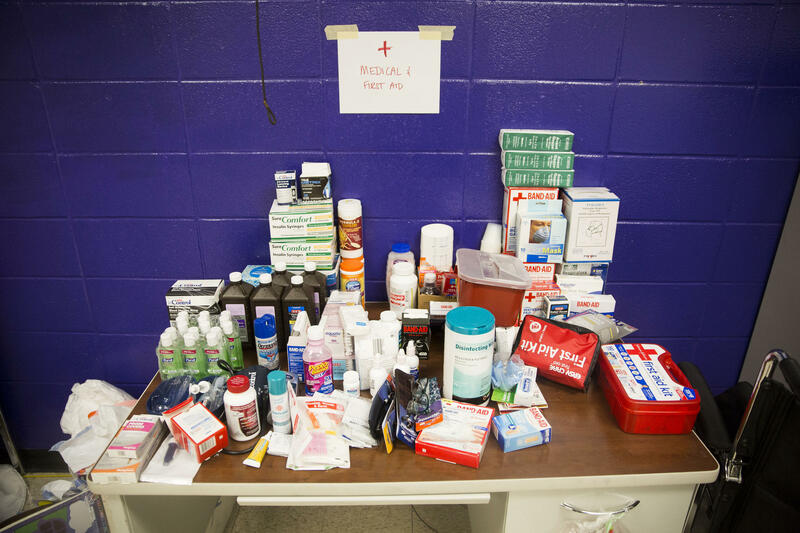 Medical supplies are stored at LBJ High School, which was used temporarily as a shelter for Harvey evacuees. 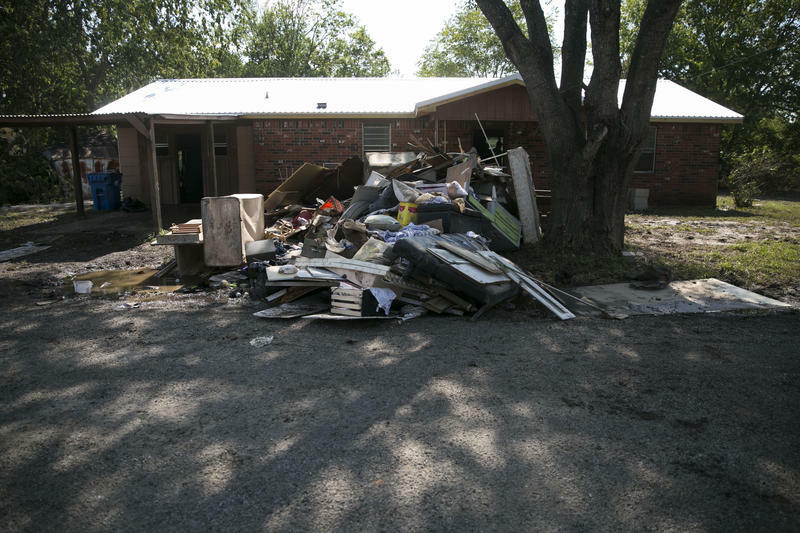 The situation is fairly common after storms: People with chronic conditions who are forced out of their homes can have trouble managing health issues. 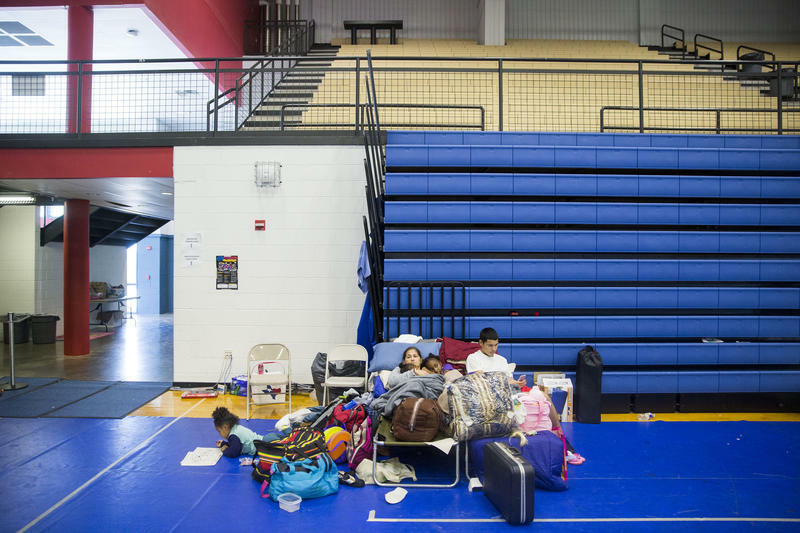 Harris Health System, the public health system in the Houston area, has been providing primary care to thousands of evacuees and first responders. Michael Gardner, the agency's executive vice president and administer of Ambulatory Care Services, says this is what shelters in the Houston area are dealing with. Chronic diseases like high blood pressure and diabetes are made worse, he says, because evacuees' diets are thrown off, they're exposed to infectious agents in the water or they don't have their medications for a few days. Gardner says flooding has also meant medical professionals across the area are dealing with things like skin infections from chemicals and bacteria in the floodwaters, sprained ankles, cuts and bruises. He says they’ve had to give a lot of tetanus shots for people who cut themselves while hauling off debris in their homes. “Then you throw upon that, many of them went hours without sleep, one does compound the other,” he says. Because so many people are in one place, medical professionals are also keeping an eye on infectious diseases — making sure they prevent any potential outbreaks. There are also issues that they expect to crop up in the coming weeks. Gardner says two weeks after Tropical Storm Allison hit Houston in 2001, there was an explosion of mosquitoes. He says he fully expects that to happen again. “Houston always has a mosquito problem, and it's going to increase dramatically in the next couple of weeks,” he says. The area is going to have to look out for mosquito-borne illnesses, he says, such as West Nile, Dengue and Zika. 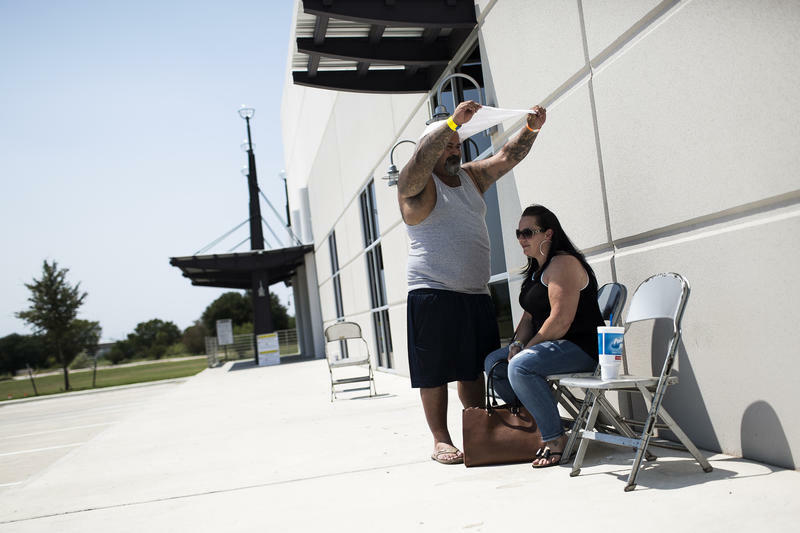 Like thousands of Hurricane Harvey victims, Patricia Belcher spent her time last week in limbo. She and her family were stuck in a shelter in Austin after the managers of her Victoria apartment complex called with bad news. An 8-foot-tall shelf. That’s what it would have taken to keep Dolores Martinez's belongings dry in La Grange. Martinez, 53, and her family had nearly 8 feet of water in their home when the nearby Colorado River crested at nearly 30 feet above its banks Monday. Then-Tropical Storm Harvey brought a level of flooding some who have lived their whole lives here say they’ve never seen before. 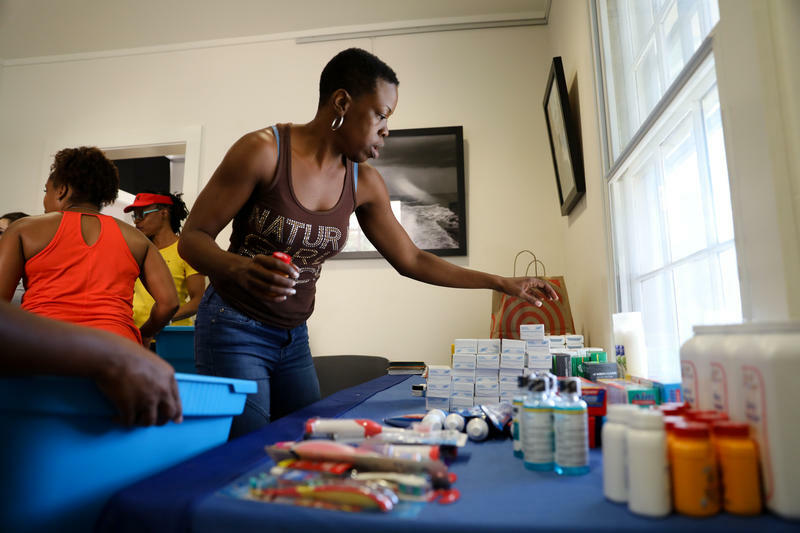 When Mayor Steve Adler recently did an instructional video on how to make welcome kits for incoming evacuees from Hurricane Harvey, everyday items like pillows, soap and a comb were included, but there were some items that weren’t considered.